Doug Dodgen and Associates has created the Student Information System to help school district professionals keep track of pertinent information regarding the services provided to students who require physical, occupational, or speech/language therapy services. The Student Information System keeps track of how many schools and students each therapist is providing service to, as well as exactly what therapy each student is receiving. Miscellaneous information about the student required by therapists, such as contact phone numbers, care-givers, physicians, and much more is also maintained and accessible. 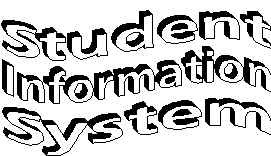 The Student Information System provides the means to print professional reports for your therapist or student records showing key information about a therapist and all students for which service is provided by that therapist, or key information about a school and all students receiving therapy at that school. Print listings showing all schools, therapists or students. Even print a report showing key information about a particular student. With the Student Information System, lead therapists and school staff can quickly and easily assign students to therapists and keep the therapists up to date about to whom they are expected to provide service.